I will start out by telling you a little about myself… My name is Corinne and I live in the energetic city of Houston, Texas with my wonderful husband, Geoff, and sweet little boy, Christopher. Design is not just what I do, it is a passion. I am the type of person that feels all warm and fuzzy inside at the sight of a fabulous fabric or a great piece of furniture. I majored in Interior Design at Sam Houston State University with a minor in Industrial Design (Computer Aided Drafting). I did an internship and began my career with a small residential firm in northwest Houston. A few years ago, I began working with another small residential firm near the Galleria area. We have many high end and international clients so there is never a dull moment. Though I have always wanted to work at an innovative architectural firm, I have come to a point in my life where I have realized that my career is no longer my first priority. I still work a 9-5, but now I have a family and that is my focus. They are my joy and seeing them smile each day is the best reward I could ask for. With all of those things in perspective, I know that I am so blessed to be right where the Lord has placed me. My secondary interests are quilting, crafting and other miscellaneous creative ventures. My interest in all things sewing and craft related was given to me by my mother. Though she claims to not be “creative”, my mother has always had a knack for making things. She taught me everything I knew about sewing until… I started working at a quilt shop in college. 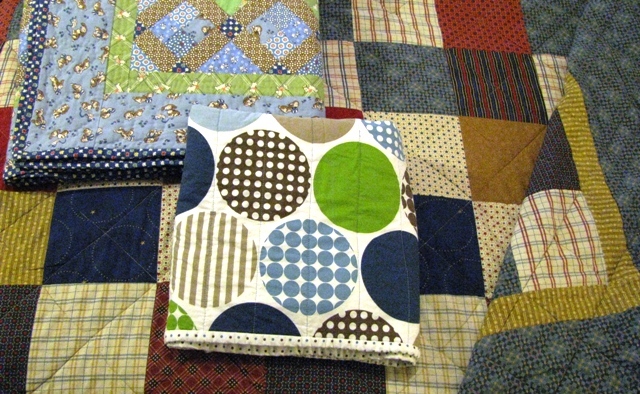 I didn’t know the first thing about quilting, but I had an eye for putting together fabrics. The longer I worked at the shop, the more I was drawn to the textures and movement within the quilts. Within six months, I had completed my first quilt, for my mother. I have been hooked ever since! I would love for you to follow me as I release my creativity! If you have any other questions about me or for me, please feel free to leave them in the comments section.